The Eastern Rhodopes are the richest place of megalithic monuments on the Balkans, left to us as a legacy of the Thracian culture. 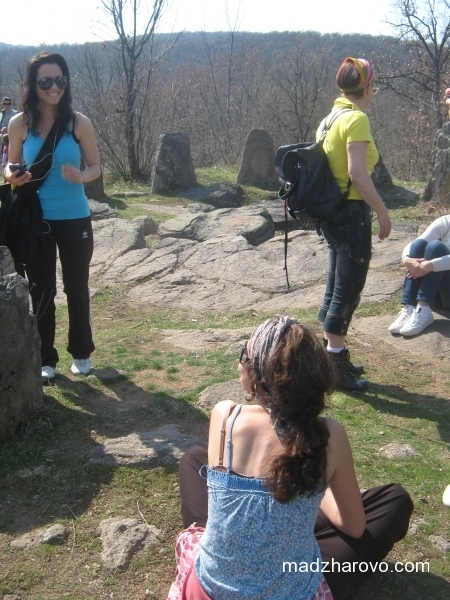 Many of the rock formations were worshiped before the arrival of the Thracians on our lands. Although for some of these monuments have been attempts to be visualized to the public, most of them are difficult to be found, and information from the archaeological excavations is found only in the scientific journals. We offer you highly trained guides who will help you to know better one of the earliest European civilizations. You will dive into the life and beliefs of the Thracians. Price: 100 BGN for guide. 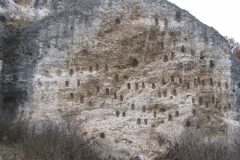 One of archaeological mysteries in the Eastern Rhodopes is the many niches carved into the rock. In the valley of the River Arda are known more than 2000 rock crevices, most of them with trapezoidal shape. 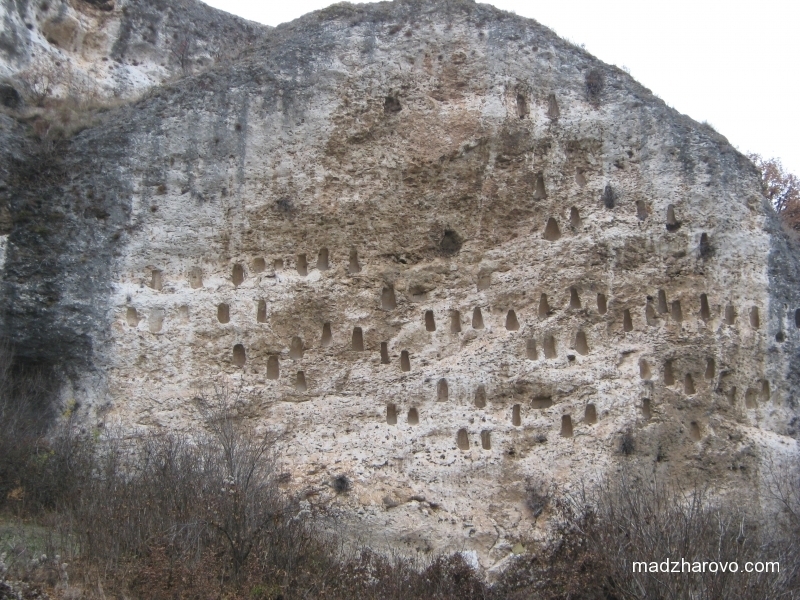 One of the rocks with the most trapezoidal niches is Kovan Kaya, which is located near the bridge on the Arda river near the village Dolno Cherkovishte. Kovan Kaya is part of a large Thracian megalithic complex, which includes a sanctuary, numerous rocks with niches and over 10 stone tombs, including the only tomb of the Eastern Rhodopes with a funeral discovered in it. In the area of the bridge you can visit the rock sanctuary of Aul Kaya, two rock tombs of rock Ak Kaya (beekeeping tomb and the tomb with the graffiti), the three tombs of Hambar Kaya and others. We can visit some of the places of Thracian gold mining. Everywhere you will hear fascinating lectures by our guides. Visitting the historic sites may nicely be combined with observation of rare birds in the area, searching for precious stones and fossils that are abandone in the area. From the accommodation sites – Complex “Arda” and complex “Perpera” the farthest tomb is located 50 min. walking. From Madzharovo it takes about 45 min. driving. The Cromlech near the village Dolni Glavanak is a megalith facility built as a circle of stone blocks surrounding sacred pace. Cromlech is associated with religious practices and cults of the ancient Thracians during the first millennium BC. Megalithic facility was built in the Early Iron Age (8-6 century BC) and functioned until the late Hellenistic period (3-2 c. BC). 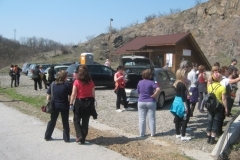 From the town of Madjarovo Cromlech takes about 15 min. driving, followed by a walking route that takes about 20 minutes. (one way). 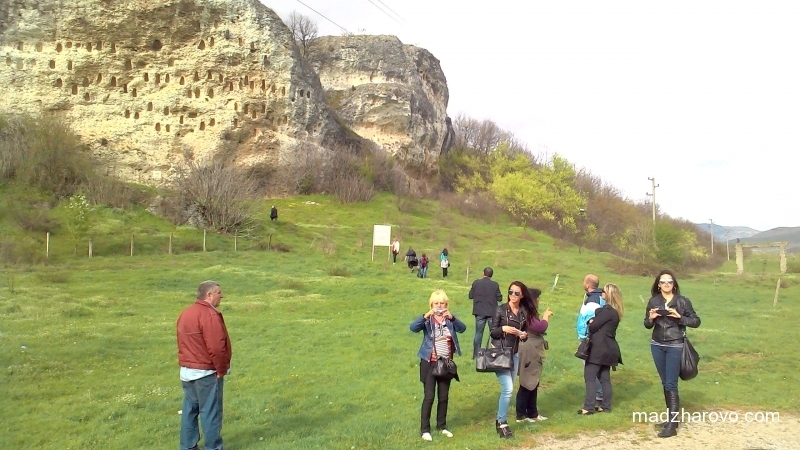 “Deaf Stones “is the largest Thracian rock complex in the Eastern Rhodopes. The sanctuary is situated on four massive rocks on which there are multiple cuts, including more than 200 niches. Some archaeologists consider the “Deaf Stone” to be of similar significance to the more famous Perperikon. “Deaf stones” are an important religious and geographical center of the Thracian population in this part of the valley of Arda, who was honored even after the adoption of Christianity. In Late Antiquity there were built two early Christian churches with baptistery for conversion of the local population. In the Middle Ages at the foot of the hill functioned a monastery complex, which was probably plundered and burned by participants in the Third Crusade in the late 12th century. “Deaf Stones” were declared a natural landmark and the highest part of the ancient sanctuary provides the magnificent views over the valleys of Arda and Maritsa. 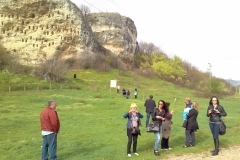 From the town of Madjarovo to the “Deaf Stones” it takes about 40 min. driving. The visits to the historic places can combine with all our other services.